ON ANY NUTRITION PANEL, CHECK ONE LINE, SUGARS. IF IT'S MORE THAN 5g/100g (5%), MOVE ON. 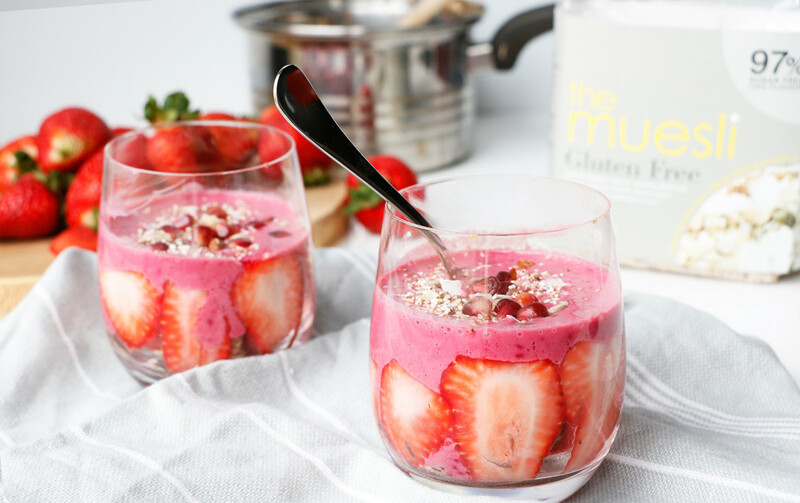 I’m sure you’ve noticed, but smoothie bowls are trending widely at the moment, they look healthy and amazing. But we’re seeing a lot of super-colourful recipes that have about a weeks worth of fruit in them (Ok, slight exaggeration but at least 4 days worth for us One-Line-Rulers). Just to recap, The One Line Rule is to look at any nutrition panel and check that the sugar is under 5g per 100g and you’re good to go. This simple trick keeps sugar in check – it really is that easy! 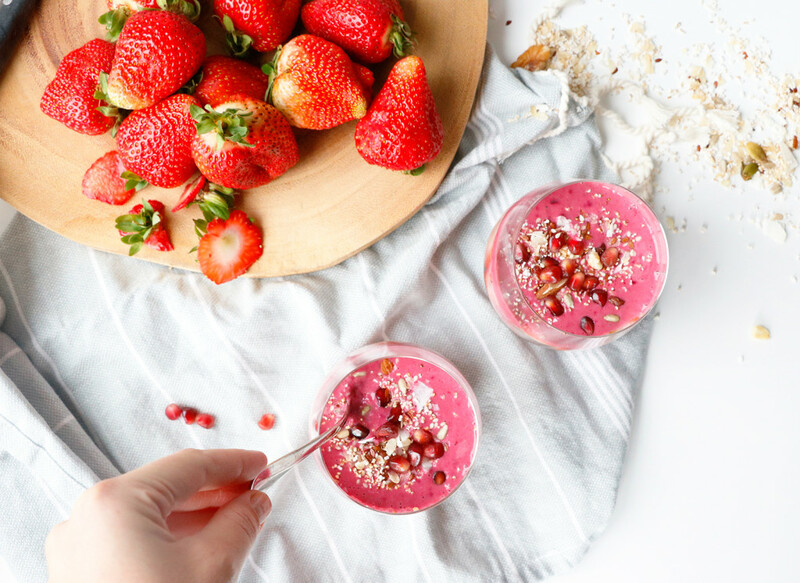 But even we still want to enjoy bright, pretty smoothie bowls, so we thought we best get to work on creating some One Line Rule friendly smoothie recipes. Place The Muesli and your water in a small pot and slowly bright to a simmer, stirring regularly, until the water is absorbed (about 5 minutes). Allow to cool. In a blender, blend your blood plum and yoghurt until smooth. To assemble, press your strawberry slices up against the walls of a short glass. Spoon your Muesli mix into the middle, pour in the yoghurt & plum mix and garnish with a sprinkle of The Muesli Gluten Free (for crunch!) and a few pomegranate seeds. 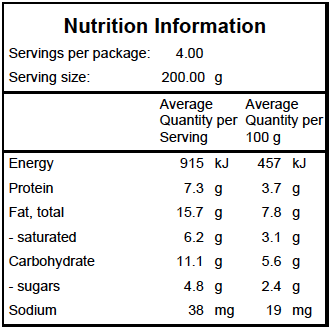 We’ve even included the Nutrition Information Panel where the proof is in the pudding. 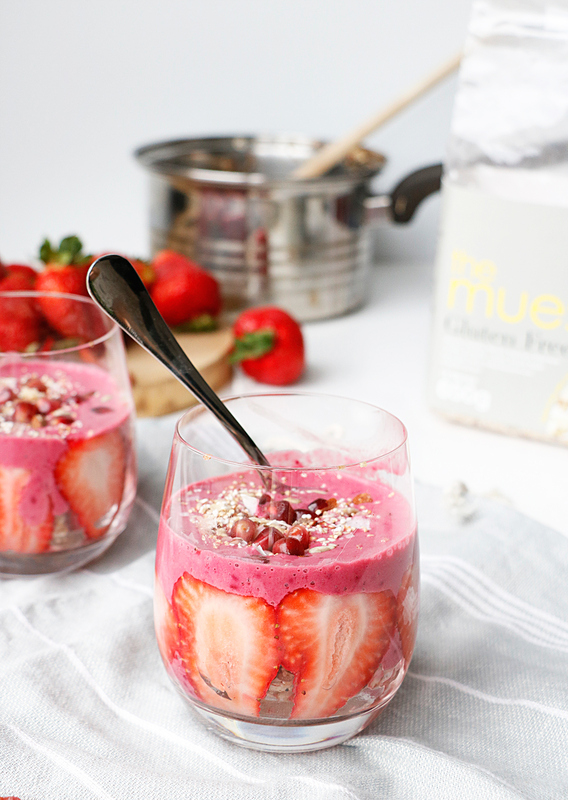 Our Plum-Berry Cups pass The One Line Rule with flying colours – 2.4g/100g and with a serving size of 200g, it’s still under the 5g mark. We hope you love it as much as we do! Be sure to let us know your thoughts and recipe results in the comments. Will 2 years to implement the Sugar Tax give big businesses the time to fight it and win? An open letter to a Dietitian; ‘the whole packaging’.